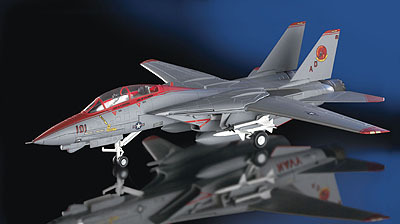 The F-14 Tomcat ranks as one of the U.S. Navy's best and most modern combat aircraft. It was developed as the successor to the Phantom, which in its role as an interceptor proved out of date. 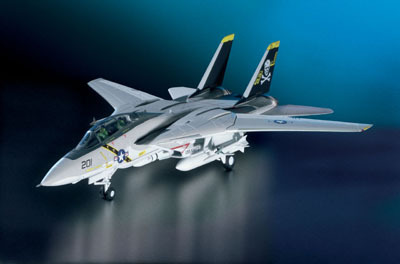 With its characteristic swept wings, the deployment tasks of the F-14 are primarily securing and maintaining air supremacy. The board-assisted combat aircraft embarked on its prototype flight back in December 1970. Despite a number of spectacular crashes throughout the further flight trials, it was approved for active military service. It was already decided in 1973 to equip an F-14 with other engines. 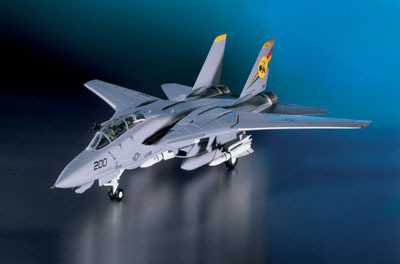 The F-14D emerged from the modernization program of the F-14A. Even today it is still described as a modern carrier-based weapons system and its long-range capabilities in particular make it an ideal protector of troops. The F-16, offering an almost unrestricted deployment spectrum, is regarded as one of the most versatile air combat fighters ever built. Not only the most maneuverable combat aircraft of the NATO air force, but also with the USAF it ranks as the most advanced variant and the one with the greatest combat capability. 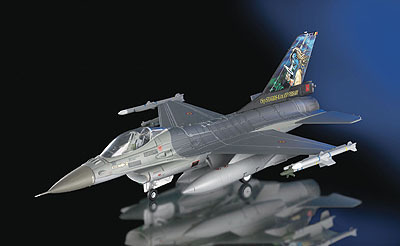 Further developments, consistently carried out, ensured that ever increased deployment options opened up for the F-16. The all-weather fighter was substantially modernized in the areas of the engine, the outer shape and the avionics. 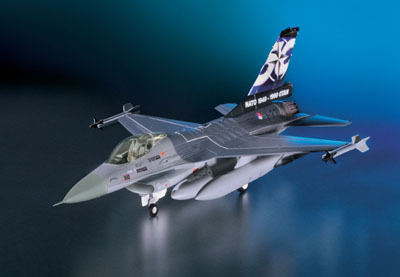 As from 1985 the F-16 was also built in Europe within the framework of production under license, where a parachute brake was introduced at the tail. Over 25 years after its maiden flight, the F-16 is still one of the most successful combat aircraft in the world. In service in over 19 countries, the total build exceeds 4000 machines. In the mid-nineties a modernization program (scheduled by 2020) was started for the European F-16 (Mlu) to give the aircraft enhanced combat capability. 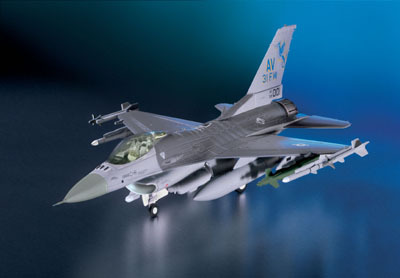 This includes a new instrument panel, a new modular mission computer, the new APG-66 radar and a range of additional systems equivalent to the F-16 C Standard. 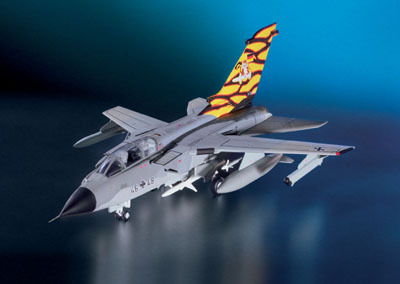 Among the first customers for this upgrade were the Belgian and Dutch air forces. 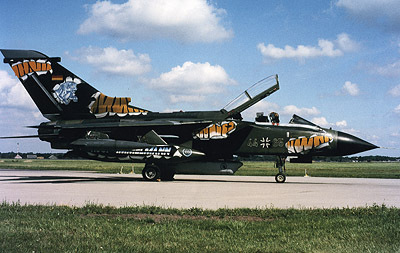 The Tornado is Europe's largest military aircraft program and is employed by all air forces. 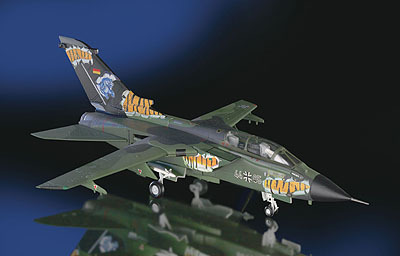 In addition, it is also one of the most important combat aircraft in the service of NATO. On account of its modern electronic equipment and excellent aerodynamically designed characteristics, it forms the backbone of European air defense. The task spectrum of the fighter bomber covers offensive air support of the land forces, cordoning off the combat zone and engagement of enemy air forces on the ground and in the air. Moreover, it can boast electronic flight control and an automatic terrain following flight system. 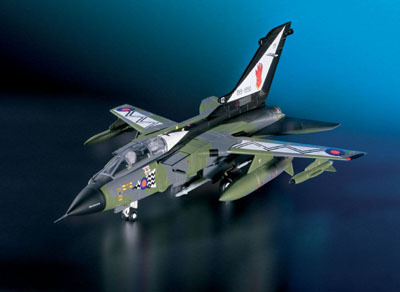 The Tornado is a 'variable geometry' or 'swing wing' aircraft, making it capable of high-speed low-altitude flying as well as slow-speed flying with minimum wing sweep.